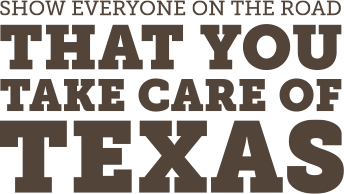 As a Take Care of Texas Proud Partner, reducing the amount of waste your office creates is one of the most profound ways that you can do your part. Doing so not only diverts waste from landfills but can reduce spending on supplies and waste collection. You can also streamline workflow with less paper, fewer trash cans, and reduced clutter in the office. Commit to Take Care of Texas and lead the way for others with these suggestions. How much waste does your organization create? You’ll need a baseline to track your progress. Start tracking your waste by periodically recording the reams of paper you go through, the number of full trash bags used over time, or the ratio of trash and recycled waste you create. Set modest goals and report them to your team as you go. Reward goals met with something fun like Taco Tuesday or Donut Day. For more sophisticated tracking, check out the EPA’s WasteWise program or the Federal Green Challenge. Printing double-sided. Set the default on printers and computers to print double-sided, potentially cutting your paper consumption in half. Digitizing forms. Many forms can be completed, transmitted, and processed 100 percent electronically. 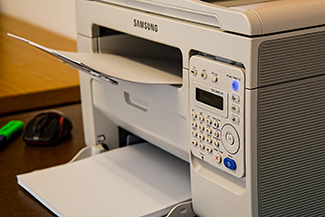 Most printers can also scan printed pages and receipts, which can be saved and shared electronically instead of printing multiple paper copies. Redesigning forms. Evaluate forms that must be printed to use the minimum amount of paper. For example, you can condense and simplify a three-page form to two pages, printing only one double-sided page instead of three single-sided pages. Reusing misprints and unneeded pages as note paper or packing material. Be sure to recycle everything else. A generous and strategic distribution of recycle bins, along with a limited number of trash cans, will encourage recycling. If possible, remove individual trash cans from workers’ desks to discourage casual trashing of recyclable items. Fewer trash cans also means fewer plastic trash can liners will make it to the landfill. You can implement tiny desktop trash cans for convenience while reminding workers to recycle more. Tiny trash cans can be emptied periodically into a larger, central trash can, resulting in less overall trash and fewer plastic trash can liners used. 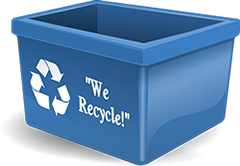 Many of the supplies in your office come in disposable containers that can and should be recycled. 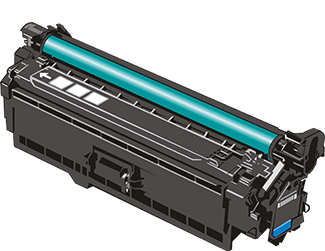 Check with printer ink and toner cartridge manufacturers for options to refill or mail spent cartridges back for reuse or recycling. Packaging material such as envelopes, foam padding, bubble wrap, and boxes can be recycled or reused to ship other items. Foam packaging is bulky and difficult to recycle, but it can be dropped off at a designated facility or mailed to a recycling facility. Rechargeable lithium-ion batteries are a terrific green solution for the wireless devices in your office but lose potency after many charging cycles. These should be recycled when they are no longer useful, as they contain harmful materials. Establish a clearly-marked container for collecting rechargeable batteries and find a local retailer that accepts them for periodic disposal. Retired electronic items such as monitors, mobile devices, and computer peripherals contain harmful chemicals that are best diverted away from landfills. These items can often be sent back to their manufacturer for recycling. Check the Texas Recycles Computers program for links to specific manufacturers or find a general electronics recycler through the Electronics Takeback Coalition.